For a woman who thinks she's not scared of anything, Scarlett is about to discover she's not as tough as she thinks. Will she take the chance to turn her secret passion into a career, risk the safety of her advertising career, and let John in? Or will old habits die that little bit too hard? Belinda Williams has quickly become a new favorite. Her City Love series is great. Each one can be read in order or alone and each one provide strong minded strong willed females discovering themselves and embracing love after life's set backs have given them a single minded determination to see their plans through to the end. Scarlett is one of them. She has found a way to embrace what has always made her happy and make something of it without allowing her family or her past to prevent her from achieving her goal. A secondary win for me is the 'reunion' love story. For some reason I am a total sucker for those second chance at love tales. 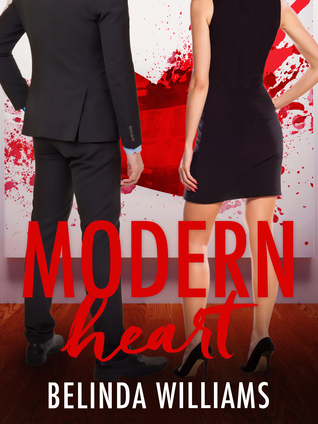 Although I expected a bit more romance and a bit more seduction for Jon and Scarlett, Modern Heart still provides a win for its readers. Note: I received a digital copy in exchange for an honest review.